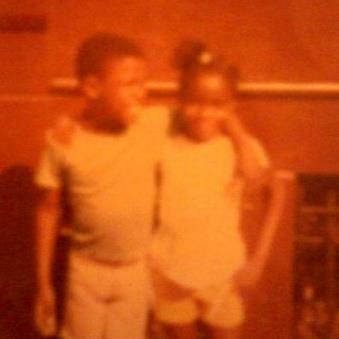 My sister, Darchelle Canty would have been 37 years old on July 29, 2012. Fortunately she left behind her diseased body on October 20, 1999. (1 Corinthians 15:53) Its sounds strange to say, “Fortunately”, but you had to be there to know why I used that word. My sister suffered from a horrible disease called Sickle Cell Anemia. This disease is a blood disorder that causes great pain, organ damage and for many of its victims, death at an early age. The disease came about because of blood cell mutation connected to malaria outbreaks in Africa over the centuries. My sister was 24 years old when she passed but those that knew her were familiar with her free spirit, fashion sense and penchant for social settings. She loved people and loved being around people—in fact, our personalities were polar opposite. We battled and fussed as siblings do up until she went home to be with the Lord. I was 13 months older than her but you would never know it. We grew up together, or, better yet, I grew up in her shadow. LOL. I think her desire to be around people was a response to the disease that tried to cage her in. Sickle Cell Anemia tried its best to restrain her with beds, hospitals, IV drips, morphine, liver failure, jaundice, ulcerous colitis, hair loss, arthritis, etc. You name it—she fought it until the battle was won. I even tried to restrain her—I was very protective, perhaps overly protective but I couldn’t hold her back. She was a walking reminder to “redeem the time” and make the most of each moment—she savored laughter and relationship. My parents carried much of the pain of watching their youngest child waste away at the hands of this disease. 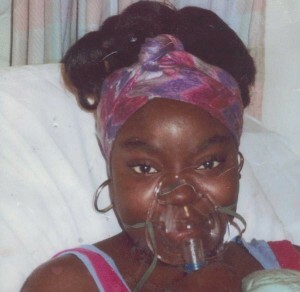 Darchelle spent a large amount of her time in the hospital bed. I can remember on many occasions my parents fighting battles with overzealous and arrogant doctors. They refused to accept easy answers and half baked treatment plans. They fought hard and Darchelle fought hard—they had to because life and death were in the balance. There were many uninformed doctors back in the 80’s who had very little knowledge or experience with this disease that primarily afflicted individuals from African and Mediterranean descent. They also assumed that my parents were pushovers and many doctors would delay initial visits or question my sister’s pain threshold. I learned a lot about being an advocate for your child by watching them. I could remember the emotional and physical exhaustion of midnight trips to the emergency room, listening to the cries for relief coming from my baby sister. When I used the word “Fortunately” in the first paragraph it was because there is nothing that prepares you for the cry for mercy to escape human pain—nothing! Sickle Cell is a painful and deadly disease that is still not given the kind of attention that it deserves. It’s not one of the more popular diseases that catch the main streams media’s attention. Sadly, research and a cure still lags and I can’t help but wonder if it is connected to the fact that the majority of victims of this illness are African American children. I don’t know. I do know that African American children in this country bear the brunt of being invisible or forgotten but strangely they are overrepresented in stats about crime, poverty and single parent households, etc. These kids are rarely seen on the back of milk cartons but find their way into obituaries and memorials. William Roy – thank you for your comment and the additional resource. Greatly appreciated.